So what? It's your creation, feel free to take whatever liberties you want with it. It's not like OP2 has particularly iconic vehicle shapes. Do what seems right; maybe you'll end up with something better than the source material. In any event, keep it up. I'd love to see you re-do every unit in the game. And who knows, maybe then we could take high-quality renders of your work and replace the existing in-game art. And who knows, maybe then we could take high-quality renders of your work and replace the existing in-game art. I went ahead and squashed the length of v4 a little, which has helped with the "long nose." I also reworked the slope of the nose slightly (though I don't know if that's really noticeable). Then I went ahead and skinned v4 to about the same level as v3 so that I could do a side by side comparison. The v4 is supposed to be a little smaller than v3, but I bumped up the size so that it's more easily compared to v3. Overall I think I like where v4 is headed. It looks pretty similar from above, but is a bit beefier from the front/side. I like the slopes on the front view and it looks less like a race car. Though I might round out the back end a little more so it doesn't look quite like an APC from the side. And a sample with the turret on top! That's really impressive looking. I'm loving how this is shaping up. You're right about the APC look. I was thinking the same thing when I saw it. I don't think that's a bad thing though. I like how you moved the wheels slightly under the body. It's cool, and makes it look more like a military vehicle. It also hides the lack of an axle or any sort of attachment of the wheels to the body. From above, in the older model the wheel where noticeably floating off to the side of the body, while in the newer model you can't see that. Lets you save on effort and poly count for that detail. The lack of an axle is still somewhat noticeable from the side. The see through hubs make the lack of detail there stand out a bit. Maybe if the hubs could be styled in a way that makes them non-see-through it would hide that with minimal effort and still look good. No way to see the wheels are actually detached from the body. Unless you have thoughts of rendering flipped over battle damaged vehicles in mind? You mentioned the difference between tangent space and object space. Could you provide an example of where the two might be useful? The description sounded a bit contradictory as to what object space is relative to. Is this distinction relevant to object with moving parts, as opposed to something that only moves about as one big whole block? The lynx with turret looks great! Maybe just adding a simple black cylinder to represent the axle or like Hooman said on modifying the hub caps. Although if you ever want to animate the vehicle turning, it might be best to have some sort of axle going on. I agree with both of you about the axle and the underside in general, but I'll also caveat with these are far from finished models. The wheels need some sort of "inside," as the hubs are basically hollow and there is no drive train (the whole vehicle underside is blank). 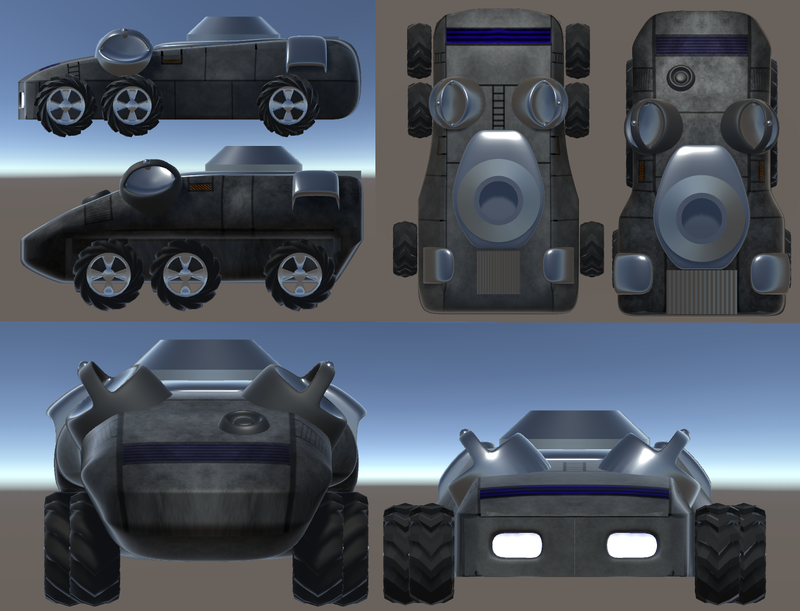 The vehicle body model topology (meaning the polygon mesh) needs to be rebuilt if the model is going to see long-term use. And since the model's mesh needs rework, the texture itself is also pretty temporary. I suppose, more than anything, these are mostly just proofs of concept and for us to banter about...so I appreciate the feedback. Keep it coming! I also agree that the APC look isn't a "bad thing," but it would make more sense if there was a door on the pack (for people to get in an out). Obviously there's no need, since it's unmanned. I know there's the "emergency cockpit" part, but seems like that would be a smaller door since it's more of a "just in case." Also, I think rounding out the back a bit will bring it into style with the rest of the body. I haven't done that yet, but probably will just to see how it looks. I like how you moved the wheels slightly under the body. It's cool, and makes it look more like a military vehicle. Yes, that was my thought as well. Although as I've been playing with the v4 model, I also went back to look at more in-game screenshots. I'm starting to think that an even beefier variant of the v4 model will probably be more like a panther. So I'm rethinking about how a lynx and panther might actually look against each other. Possibly a stripped down/smaller version for a lynx (maybe two wheel), and a bigger/armored v5 for a panther. You mentioned the difference between tangent space and object space. Could you provide an example of where the two might be useful? To be honest, I don't really have a good idea of what an object-space normal map would be useful for. Possibly if the objects are stationary but the light is moving. But in that case, a tangent-space map would also work just fine. Maybe that's something I should look into, in case I'm missing something. Since you asked, and I've reached a point where I have a workable model, I figured I'd throw together another quick proof of concept. Enjoy! Hah! Awesome! Instantly recognizable scene. Actually, I found myself wondering if it was a new render, or a link to the original video. Nicely done. I would click "like" on your post if there was a button, ha. I must say, after doing the short proof of concept, the idea of working toward remaking that particular movie is appealing. It's a fairly simple movie and would give me a "reason" to finish the Lynx model, giving the model a purpose after it's done. I think maybe I will work up some concepts for the Panther also, so that the two models will compliment each other and I will feel a bit more "finalized" with the Lynx model. I'm not sure the panther appears in any of the videos or game art. You might have to use more artistic license on that one than the lynx. Looking forward to seeing where you go with it. I don't recall seeing any panthers except the ones in the actual game. To me, it looks like they might have three wheels total, with two wheels in the back. And the Lynx looks like it has three wheels but all equally spaced, as opposed to the videos which have two up front grouped together. Yeah, good point. I don't really know what the panthers or tigers are really supposed to look like up close. If you're interested in making videos, maybe an RLV would be an easy model to make? Btw, are you using version control at all? I might be worth storing these various models and modifications into a repository somewhere. Could also be helpful for other people if they wanted to learn, and could see the history of changes to the models. Yeah, good idea. I think there's an original video of the RLV, and it's pretty much a rectangle with some slopes. I'm not sure I would say that I'm strictly aiming for videos. My goal at the moment is to work on modeling skills and texturing, but I'm warming up to the idea of a video as something to aim for. I imagine if I aim for "make a model" then it will never really reach a finished state (because there's always improvements that can be made. ). But if there's a video, then at some point it has to move past the model stage, meaning it needs to reach a state of "good enough." So I think right now I might head toward a "game ready model(s)," of which the higher resolution versions would be the subject of some short video clips. Btw, are you using version control at all? Nope, not currently. I was thinking about setting up a git repo, but there's also a part of me that hates watching my stuff get cloned and forked all the time. Also not sure if my skills are really to the point where I want to let people watch me learn. Though I guess I'm already sort of doing that here. Oh yeah, you should probably check out Dave's 3D model of the lynx with a rail gun and Robo-Dozer that he uploaded to the repository. He made them both in Blender as well. I think someone has to give you write permissions in order to post but anyone can read. I thought models and textures were too big to upload regularly to a repository without seriously bloating its size. Maybe that is okay with more modern high speed internet connections though? I wouldn't worry too much about your skill level. Everything here is volunteer and whatever you are making is certainly better than nothing at all. I'm not an expert, but your work looks good to me... I've posted a fair amount of code to the repo and besides Leeor, Hooman and Arklon poking through a little of what I write, I don't think anyone else really messes with it so I doubt you will have a problem with the cloning and forking everywhere. Yeah, I saw Dave's models in his 3D thread. Even though the Lynx bodies don't look the same as the videos, I think his Lynx model actually looks a bit more like the gameplay graphics. I also like the weapon heads he was working on. There's a definite theme with them, and they have a bit of stylized look about them. I haven't looked at his models on the svn though, so maybe I should give it a poke. Yes, textures and model files can expand a repository pretty quickly. For smaller projects, it's not much of a big deal. 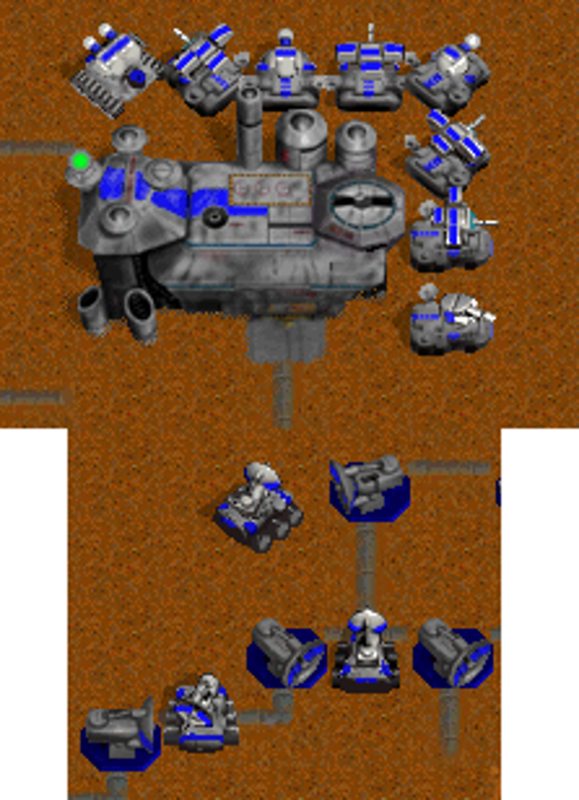 But in my experience with larger projects, the game assets get put into a different repo from the codebase. This allows the artist(s) to work on the model revisions, then only port final products over to the main game repo. Git also has a system called LFS (I think it's "Large File System" or something similar). Though in my personal experience, I had a really awful time dealing with LFS. When it decided not to work, I was having major issues working on the codebase and it took a long time to resolve. I wish there was a better system for maintaining a local repo, vice one in a cloud like GIT or similar. If anyone knows of a program that will manage a local repo (i.e. point it at a file folder), please let me know. If I continue to pursue further models, then I may go ahead and make a repo to store things for easier revision control and distribution. Also not sure if my skills are really to the point where I want to let people watch me learn. Though I guess I'm already sort of doing that here. Lol, you are. And you're doing a very good job of it. You can use Git locally. It stores things in the hidden ".git" folder in the project root. Git works locally by default. It's only when you push or pull/fetch changes that it contacts remote repositories. Models probably can get large. Plus Git is optimized more for speed than repository size, so a Git repository with large binary files could grow somewhat fast. Probably not such a huge issue with modern storage sizes and high bandwidth internet. In case it is, splitting models to their own repository would be an easy way to prevent any bloat from slowing down other people who might just want access to the code. Try Git locally and see how it goes. You can always push later. I knew this part, but what I wasn't able to figure out was how to create the repo locally to begin with. At least, the Git GUIs that I've used seem to be focused that way, but I'm sure there's a setting I'm missing somewhere. Or I might have to do like you're suggesting (or maybe you aren't suggesting). I can set up a seed repo and just not push to it till I'm ready. Models probably can get large. Yeah, they get a bit big. Most of the blend files I'm working with right now are only about .5 MB, but once they get packed with textures and such, the size starts to grow. Depends on how much detail and such is in there too. You would run "git init" to initialize a new repo locally. Excellent, thanks for the point out! I will have to give that a try. I'm much less familiar with the command line, so that should be handy. So...as I said in my other post. I'm mostly back! I figured I'd post here and try to set myself a deadline. 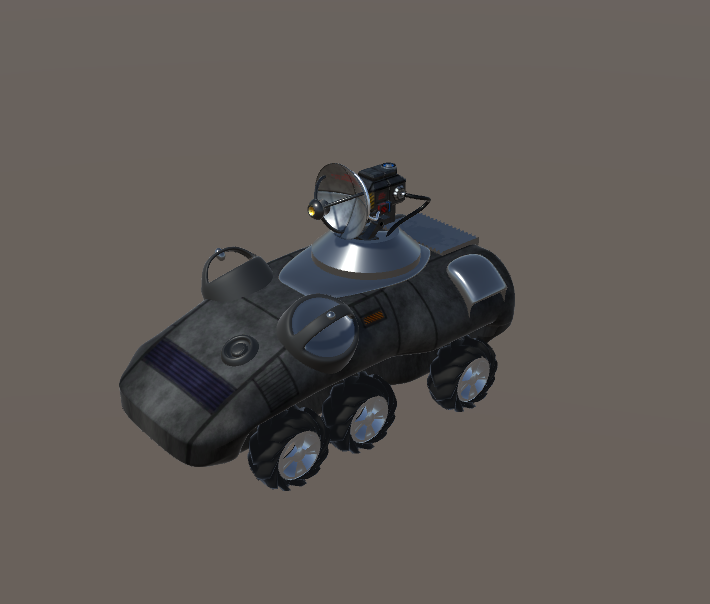 I'm going to start working on another vehicle, and hopefully post something that's on-par with the Lynx model by 7 or 8 Jul (before I disappear for another week and a half). Now to settle on a project. Welcome back after the move! I'd go with the cargo truck since it is in several videos and there is lots of concept art with different views in it.